Unfortunately, there is one big difference between myself at age 53 on HRT and the young guy in this 20's: I need low dose Arimidex (anastrozole) to pull down my estradiol levels. Unfortunately, extra body fat, aging and certain stressors make most men higher converters than they were in their younger days and they need a little help from an AI (aromatase inhibitor) to keep those estradiol levels from going overly high. The dosages that I have been on are fairly typical of what I see on The Peak Testosterone Forum: either a 1/4 or a 1/2 mg two times per week, i.e. 1/2 - 1 mg/week. Now is this dosage of Arimidex dangerous? If you ask at your HRT or anti-aging clinic, they will probably tell you that the dosage is so low that it will never cause any long term issues. And, in one sense, they have a good point: the dosages taken by cancer patients are usually on the order of 1 mg/day or 7 mg/week, which is obviously an order of magnitude higher than what I am taking. Furthermore, virtually all of the side effects from taking Arimidex are associated with the low estradiol levels from taking these higher dosages. Guys on low dose Arimidex just don't seem to get these kind of side effects, at least from what I have seen. 1 Pharmaceutical. Arimidex is a pharmaceutical and virtually every pharmaceutical I can think of has one big problem: they affect non-targeted systems. In other words, Arimidex is aiming at the aromatase enzyme and should affect only that particular enzyme in an ideal world. However, from what I have seen, that is a very naive assumption and usually, a decade or two later, news comes out about how this medication is influencing something else in the body negatively. Yes, this is low dose, but if taken for decades, will there be absolutely no effect? 2. Clotting Cascade. One of the side effects of the higher dose Arimidex is clotting. According to my HRT clinic, Arimidex can affect the clotting cascade in some heart patients - one could argue that 95% of the people in modern societies are heart patients! - and so it is considering ways to lower their dependence on Arimidex. Again, HRT levels are low dose, but some think this could be potentially be a concern. One has to ask if it is a good idea as the decades roll on or you reach your senior years as well. 3. Increased Estradiol Requirements. I know that the doctors of some of the men on HRT on the The Peak Testosterone Forum have been increasing their estradiol targets. My own clinic told me that their current estradiol targets for men are 20 to 30 pg/ml but that they were considering upping that to about 25 to 35 pg/ml. There has been recent study work - I haven't seen the numbers yet - that suggests that a little more estradiol may be good for middle-aged and senior men in particular. 4. Arimidex Sensitivity. Also, some men on the forum simply cannot take Arimidex (anastrazole). They have what I would call "Arimidex Sensitivity", which means that even small doses crash their estradiol. 1. Dosage Lowering. Reduce your Arimidex (anastrazole) dosage (with doctor approval). 3. Go Natural. 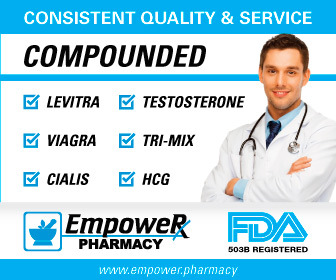 Choose a more natural way to lower estradiol. There are actually many ways to do this and I cover it in my link on Natural Estrogen Blockers for some of the pros and cons. These are mostly supplements and one has to to realize that they generally do not have the power of an Arimidex.